Jan 15, 2018 at 10:04 AM | 285 Views | Last edit Jan 15, 2018 at 01:49 PM 4 rev. 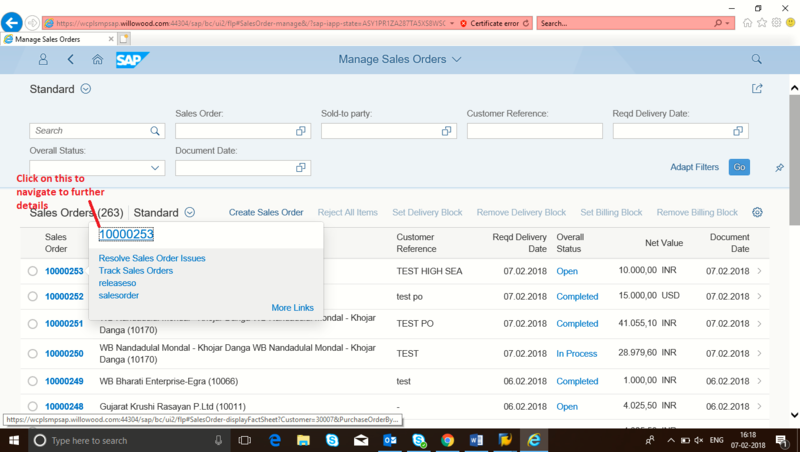 Make sure that you add the target mapping for the intent SalesOrder-displayFactSheet within the catalog assigned to your user. You can find this intent under the Target Mapping tab in one of the below catalogs. more in our case except "over all status" as "completed" all had navigations.